HTH Accountants are an innovative, international award winning accountancy practice based in Celbridge, Co. Kildare. We are delighted to announce that we have been shortlisted in the inaugural Irish Accountancy Awards which showcase excellence, innovation and best practice within the accountancy sector in Ireland. Both of our entries highlighted our use of technology and cloud based applications to increase efficiencies within our clients businesses and reduce the costs of data processing. 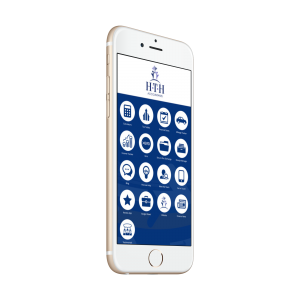 We have recently launched our own App for HTH Accountants. We are one of the first small accountancy practices in Ireland to launch such an App. Our App gives our clients and potential clients access to free information 24/7 but also access to all of the online cloud based products that we use on a day to day basis in one location. It is packed full of useful tax tables, calculators and will keep our clients up to date with the very latest news, views and tips from HTH Accountants, as well as providing them with key accounting data, in real time, at their fingertips 24/7.